USNS HENRY ECKFORD is one of the two ships in the HENRY J. KAISER - class that has never been finished. The construction of the ship was cancelled on August 15, 1993, when HENRY ECKFORD was 84% complete. 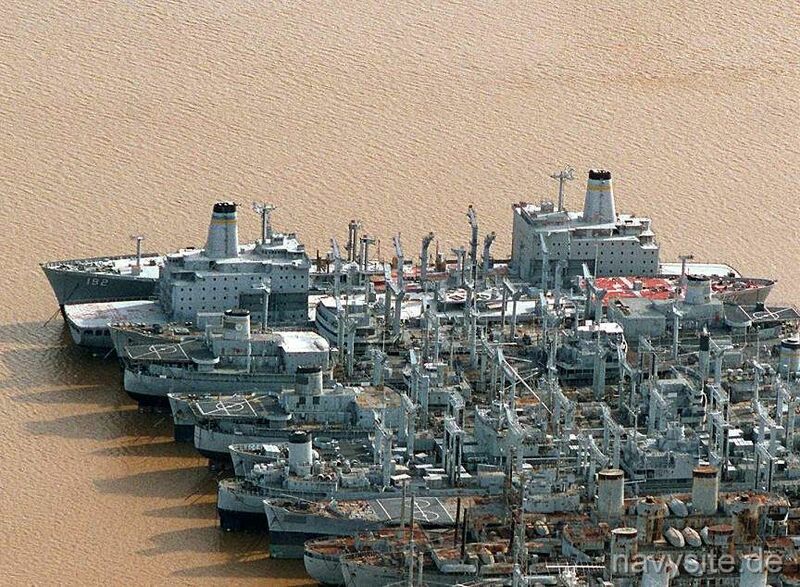 On February 2, 1998, the ship transferred to the Maritime Administration (Marad) and is currently berthed at the James River Reserve Fleet, Fort Eustis, Va. Originally, the contract for the construction of HENRY ECKFORD was awarded to Pennsylvania Shipbuilding Company. This contract was cancelled on August 31, 1989, shortly after the ship was launched. On November 16, 1989, Tampa Shipbuilding Inc., Tampa, Fla., was awarded a new contract to complete the construction of HENRY ECKFORD by the Naval Sea Systems Command. During performance of the contract, Tampa and NAVSEA had differing interpretations over responsibility for correction of defects or deficiencies for work performed by Pennsylvania Shipbuilding and concerning the amount of material necessary to complete the ships. Tampa experienced significant financial and performance problems and so the contract delivery date for HENRY ECKFORD was extended to September 30, 1993. In 1993, NAVSEA's analysis indicated that transferring the ships to another facility would not add unacceptable cost or schedule delays, and that Tampa's continued performance of HENRY ECKFORD's contract was not essential to the national defense. The ship was finally cancelled on August 15, 1993, and was stricken from the Navy list on November 10, 1997. The photo below is an official US Navy photo taken on January 28, 1996. It shows the HENRY ECKFORD and her sistership BENJAMIN ISHERWOOD laid-up in the National Defense Reserve Fleet on the James River in Virginia. Construction of both ships has never been finished.